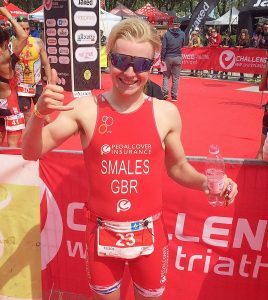 It was a fantastic start to the year for Elliot Smales! I won’t give anything away, but a brilliant result in Rimini! Thank you to El for sending us this race report. Enjoy! I chose to start my season at a well-established race venue on the east coast of Italy in Rimini. The city is a popular triathlon destination after hosting the European middle distance champs in 2015. I entered the race in the hope of a low standard field due to this being the first time I would face the professional middle distance ranks. After seeing some big names start to appear, including the 2016 European champion and 2016 5th place Kona finisher, also a European champion back in 2011. Amongst these were other names I was familiar with from various race podium and magazine reports. This race to me was the decider as to whether triathlon could work for me or not. That itself was a scary enough thought, after dedicating practically the last 4 years to the goal of turning professional. Coupled with the nerves created by hanging around the resort for a couple of days, seeing the other competitors and how much I depended on a result, I was a nervous wreck the day before. Not something I normally struggle with too much, but will no doubt happen to everyone in some situation. On race morning, I lined up with 30 other pros ready for a head kicking. Most of the nerves from the previous day had subsided however and I began to focus on the task at hand. I expected a fast swim, with a native Italian who had recently beat Alastair Brownlee out of the water at his middle distance debut. I followed his local knowledge entry on the beach start and quickly found myself by his side. The swim was choppy and we swam side by side for almost the whole duration, with 1 athlete on each of our feet. I made a push to lead out but was brought back with around 150m to go. We exited in a pack of 4, but I was quickly distanced on the bike and left alone. I knew from last year how crucial it was to pace the bike well, and decided they were too optimistic. After getting away from the flat coastal start the road starting to become a gentle false flat, where I was caught and dropped by another pack of 3 athletes. Panic almost started to set in as I was caught by another 2, but then the climb started. I shared the lead most of the way up, bringing back one by one the athletes who had gone off hard. At the top, there were 2 athletes still away and me in a pack of 6 chasing on the descent. It stayed like this for the next 25 miles before 2 athletes clipped of the front just before T2 to take 30 seconds advantage. By this point I was glad to be getting off the bike and my confidence was mounting with the prospect of running. Unfortunately, my transition was terrible and I gave away 30 seconds straight away. It was a 4 lap, flat, 21km run and I set off with intent to gain some places back but I couldn’t settle down. My breathing was shallow and I found myself struggling to get the air in. It was more frustrating than anything as I saw the battle for 3rd disappear further and further up the road. Fortunately, at 10km I settled down, but by this time I had resigned myself to 6th, with the time gap being over a minute to the group ahead. My friend on the course then notified me it was 55 seconds to 5th and he had been dropped. My legs felt good, and I hadn’t come all the way to Italy not race to the line. So I chased. He lost 30 seconds in 2km, and within the next 2km I had moved into 5th. Again, I settled for that, but on the last lap I was informed again the gap was 55 seconds to 4th and he had also been dropped by the 3rd place finisher. I repeated the previous lap and went pretty deep over the last 2km but with a km to go Imoved into 4th and didn’t look back until the line. I paid for the last 2km for quite a while after, struggling to walk at first but it was worth it. I’d proved most importantly to myself that it was possible. Even on a day where I’d rate my performance as average to good, I had been competitive in a strong professional field. I owe a lot of thanks to various people at the club for always supporting and encouraging me from the first day I took up triathlon. Next for me will be Staffordshire and Edinburgh 70.3, where I hope I’ll see some familiar faces. After that I’m hoping to get along to some club sessions now I’m no longer a student! I’ll most likely also be at Dublin and Weymouth 70.3’s along with possible a couple more Challenge races in Europe. I’m also looking forward to a club recreation of Antwerp 2011(?) next year for some racing and socialising!